Gender diversity issues persist beyond the glass ceiling. Breaking the glass ceiling is not enough, it is also crucial to tear down the walls! You Broke the Glass Ceiling. Now It’s Time to Tear Down the Walls! With an increasing focus on gender ratios in leadership roles, we have all become aware just how few women hold managerial roles in many industries. One of the industries that is traditionally dominated by men is the Automotive industry. 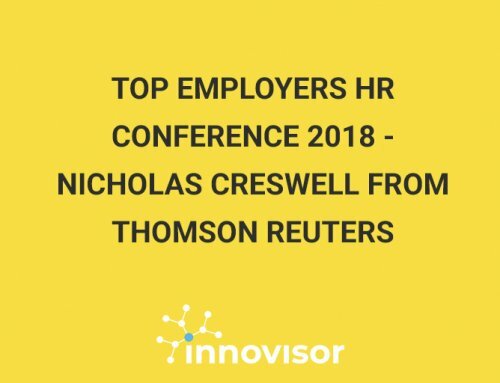 When we recently diagnosed a client in the Automotive industry, we were therefore not surprised to see that the percentage of women in the workforce decreases steadily as we move up the hierarchical levels. 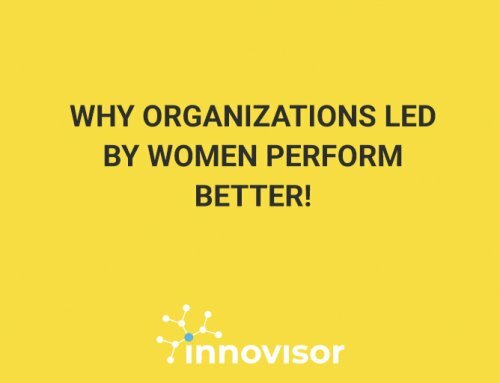 Yet, with an average of 15% women in managerial roles, the client was doing almost twice as well as the rest of the companies in the Automotive industry. 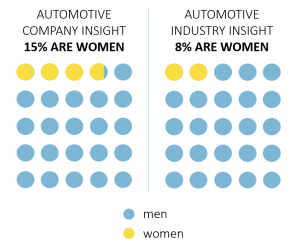 A leading gender diversity consultancy recently published the Global Gender Balance Scorecard for the Automotive industry. They concluded that women only accounted for 8% of the executives in the top 20 automotive companies in the Fortune Global 500 and that over half of those companies did not have a single woman on their executive teams. Considering these numbers, the client seemed to be on the right track towards a more balanced gender ratio. What does this tell us? 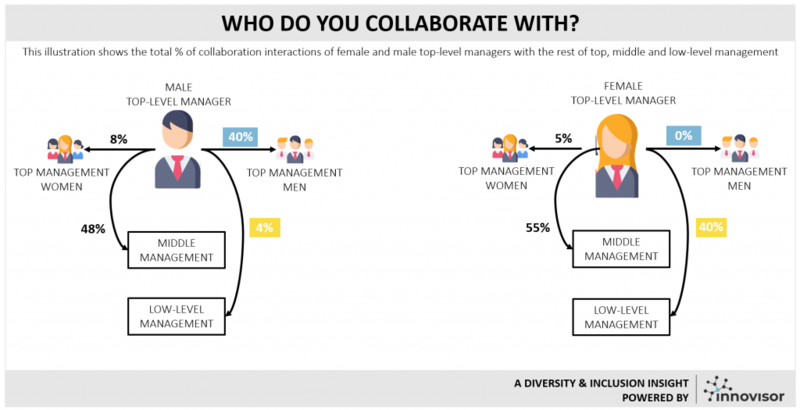 Male top-managers tend to collaborate horizontally with both genders, while female top-managers tend to collaborate vertically with a bias towards other women. “Clearly, gender diversity issues persist beyond the glass ceiling”. Although Women Leadership Programs are becoming more and more popular, they seem to differ very little in terms of what they focus on. Top universities such as Yale, Stanford and INSEAD all offer such programs, and according to their websites their focus is on developing personal leadership styles and skills, as well as connecting with other female leaders. Put differently, the focus lies on integration with lower levels and integration with other women, respectively. 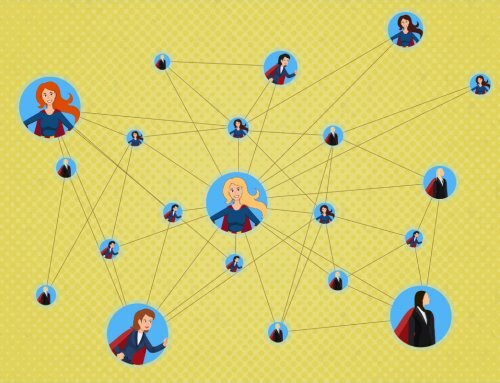 What about the effort by male leaders to help integrate their new female peers? breaking the glass ceiling is not enough, it is also crucial to tear down the walls! Thanks go out to our two business analysts, Sanne and Peter, for this amazing work. Diverse and inclusive organizations require leadership by examaple. You cannot simply wait for diverse candidates to become a part of leadership teams. Leadership teams too need to break down barriers, realize synergies, and align expectations.